As technology evolves how we communicate, it evolves what and how we print. Our basic equipment listing highlighting our Digital Printing, Conventional Printing, Mailing and Finishing capabilities is below. If you have any further questions, please contact your salesperson. Click on an area below to see our capabilities. In-line aqueous coating enhances the printed sheet with either a gloss or satin finish and allows the sheet to be handled more quickly because it dries instantaneously. This press can run either traditional soy-based inks or UV. In-line aqueous coating enhances the printed sheet with either a gloss or satin finish and allows the sheet to be handled more quickly as it dries instantaneously. *Prints on both sides of the sheet in a single pass. The Ryobi 3302 is a true 2-color press with a separate blanket for each head eliminating the risk of ink contamination found on some small presses. The Ryobi’s side guide and register board enable the press to hold tight registration on jobs that require multiple passes. Ideal for both 1- and 2-color printing, the Quickmaster’s large ink rollers produce excellent solids. The design of the press facilitates set-up and increases speed. Even though it utilizes a common blanket, proper trapping on multiple-color jobs prevents ink contamination. The Nexpress produces near commercial quality print in on-demand digital quantities. It is ideally suited for variable print-on-demand. 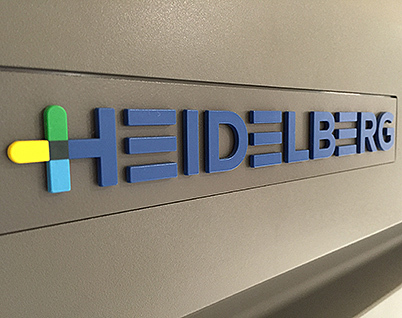 The Heidelberg Linoprint digital press is not for short runs only. Applications like variable data printing can be produced easily. The Linoprint CV can print CMYK and optionally white or gloss varnish thus enhancing the options for this machine. The Kodak Digimaster EX150 produces high-quality black and white images with excellent solids and screens from digital files. It is ideally suited for print-on-demand. The Kodak Digimaster EX110 produces high-quality black and white images with excellent solids and screens from digital files. It is ideally suited for print-on-demand. The Phillipsburg Inserter has six pockets for inserts. Maximum sheet size: 6.25" x 9.5"
Minimum sheet size: 5" x 4"
Maximum sheet size: 10" x 14"
The FlowMaster RS has six pockets for inserts plus an accumulator for up to 6 folded sheets per set. Maximum sheet size: 24" x 17"